TORONTO, September 24, 2018 – Before departing the U.S. Supreme Court, Justice Anthony Kennedy gave one last major precedent, one that did not slip past any good tax lawyer, Canadian tax lawyers included. His decision in South Dakota v. Wayfair, Inc., et al, overturned a long-standing rule that has in many ways contributed to the rise of online retail giant Amazon and the era of e-commerce. Previously, it was generally understood that, in order to be liable to collect and remit sales taxes back to state governments for the jurisdiction in which the consumer is located when making the online purchase, a business would need to have a physical presence in that state. This need stems from the case precedents overturned by Justice Kennedy's decision, the most recent being Quill Corp v North Dakota, 504 U.S. 298 (1992). In the previous decisions, the Supreme Court had consistently held that a state legislature is able to regulate commerce only to the extent that it does not discriminate against interstate commerce nor impose undue burdens on interstate commerce. Although this has not changed in the new decision, what has changed is the facts of doing business across state lines. When it comes to local sales taxes, interstate commerce is still required to pay its fair share. There is no discrimination or undue burden on out-of-state retailers where the taxes are imposed equally on all retail sales. The question in issue is not whether the tax can be imposed on the transactions but rather, who does the burden of collection fall on? The Court will uphold a State imposed obligation on out of state retailers to collect and remit tax where the tax applies to an activity with a substantial nexus with the taxing State. In the absence of a substantial nexus, the State government can look only to the consumers to collect and remit the appropriate sales tax. All previous cases have held that a 'substantial nexus' necessarily includes a physical presence. All of those cases involved mail-order retail or something of the like. Times have changed, as we have all born witness to, and the internet has dramatically changed the way consumers interact with retailers. Not only is it now possible to purchase from a retailer who has no physical presence in the state where the consumer is located, it is often the most affordable and convenient option. Because of this, online retailers have been able to offer the same products for the same prices as local retailers without carrying the same burden to collect and remit the local sales tax. This has created an unintended competitive advantage for online out-of-state retailers and an ample opportunity for tax evasion for consumers. The decision by Justice Kennedy changes the interpretation of "substantial nexus." Such a nexus "is established when the taxpayer [collector] avails itself of the substantial privilege of carrying on business in that jurisdiction." It is important to note that Justice Kennedy made specific reference to virtual presence as part of the sufficient nexus that Wayfair Inc. had in this specific case. Kennedy's reasoning is that because online retailers have out-sourced the establishment of a physical presence in any jurisdiction to the consumers, who carry around smart phones at laptops, the regular place of interaction between merchant and purchaser exists within the state. The federal and provincial sales tax arrangement here in Canada does have a similar circumstantial trigger for a business to be obliged to collect and remit a sales tax. The federal goods and services tax, the GST or HST in some provinces, is levied in all provinces and territories. To comply with the federal Excise Tax Act, a non-resident supplier of goods or services must register for a GST account where they have a permanent establishment or are considered to be carrying on a business in Canada. Those businesses are obliged to collect and remit the tax. Several Provinces (British Columbia, Saskatchewan, Manitoba, and Quebec) maintain a separate sales tax system; other provinces have adopted a harmonized sales tax arrangement; the difference between the two is administrative in nature. An important note on inter-provincial trade: for a Canadian business that does not have a permanent establishment in the province into which it is making a sale, if selling to an HST-province the business must still collect HST at the appropriate rate for the province in which the customer is located. The registration requirements for the federal GST account satisfy the requirements for the provincial sales taxes in those provinces which have adopted the HST, while the provinces that maintain separate systems have their own administrative requirements. For the purposes of the Excise Tax Act, a permanent establishment in Canada is defined [in part] as a “fixed place of business,” which is not much more illuminating than "permanent establishment." The Canada Revenue Agency guidelines are targeted at a more traditional concept of commerce. Online retail businesses that want to sell into the provinces in Canada may soon face a new reality of obligations for collecting a remitting sales taxes. The significance of Justice Kennedy's decision in South Dakota v Wayfair, inc. may prompt Canadian provincial governments to bring about changes to their sales tax schemes as well. Most notably, the province of Quebec recently announced a change to the QST. The so-called "Netflix tax" now requires that businesses that are non-residents of Quebec must collect and remit sales taxes on intangible, digital services provided within the province. The decision of the Quebec government was in direct contrast to the decision of the federal government in the months prior. Tax realities are about to change significantly for Canadian companies that engage in online retail and distribution to U.S. consumers. The obligation to collect and remit sales taxes is now fair game. David J Rotfleisch, CPA, CA, JD, is the founding tax lawyer of Rotfleisch & Samulovitch P.C., a Toronto-based boutique tax law firm. 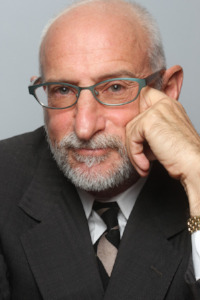 With over 30 years of experience as both a lawyer and chartered professional accountant, he has helped start-up businesses, resident and non-resident business owners and corporations with their tax planning, with will and estate planning, voluntary disclosures and tax dispute resolution including tax litigation. Visit www.Taxpage.com and email David at david@taxpage.com. 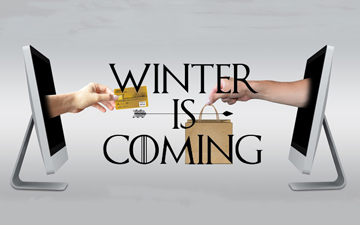 This article appeared in longer form on Mondaq as "A Canadian Tax Lawyer's Commentary On South Dakota v Wayfair, Inc Et Al: Winter Is Coming For Online Retailers."